Thank you to Viking Books and Goodreads for sending me a copy of Tumbling. I received the book just before the 2016 Summer Olympics and was very excited to root for the U.S. athletes (yes, this means I'm a year late in finally getting around to posting this review). By the end of the two days of the U.S. Olympic Gymnastics Trials, some of these girls will be stars. Some will be going home with nothing. And all will have their lives changed forever." "The gymnasts gathered at the opening to the arena. From a distance, they looked like a mass of perfectly pressed red, blue, and bright white warm-ups; cheerful hair ribbons; precise makeup; and genuine smiles. But the mood was somber. Somewhere on an edge of the gym floor in the Baltimore Metroplex, the announcers blathered on about the twelve gymnasts who were embracing each other under the stadium seats in the northernmost corner. They spoke of veterans versus brand-new baby seniors. They spoke of event specialists and all-arounds. They discussed the likely makeup of the final Olympic team--which names were destined to be called at the end of the meet the next night, and which positions were still up for grabs. They talked about comebacks and international debuts and likely breakout stars. Other names they didn't mention: the few who felt luck to be present, who dared no hope to proceed." I thought this would be a perfect pre-2016 summer Olympics read. 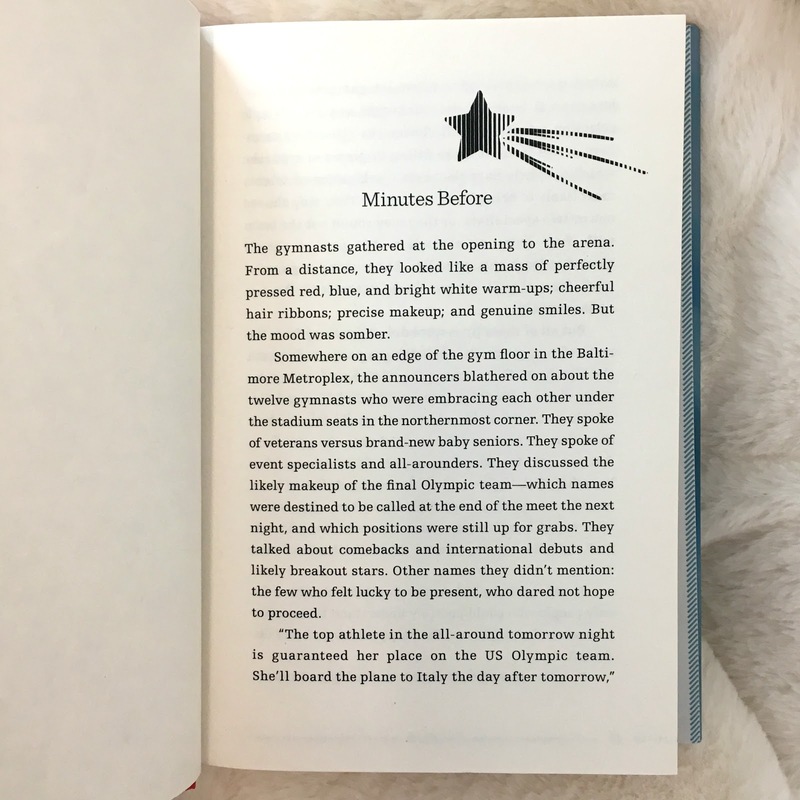 It might be for gymnastics fans between the ages of 10-14, but even as a grown-up fan of young adult and children's books, the writing greatly trivialized the sport. While there were some more weighty coming-of-age themes, far too much time was spent on characters arguing over boy bands, Facebook posts, and general cattiness. 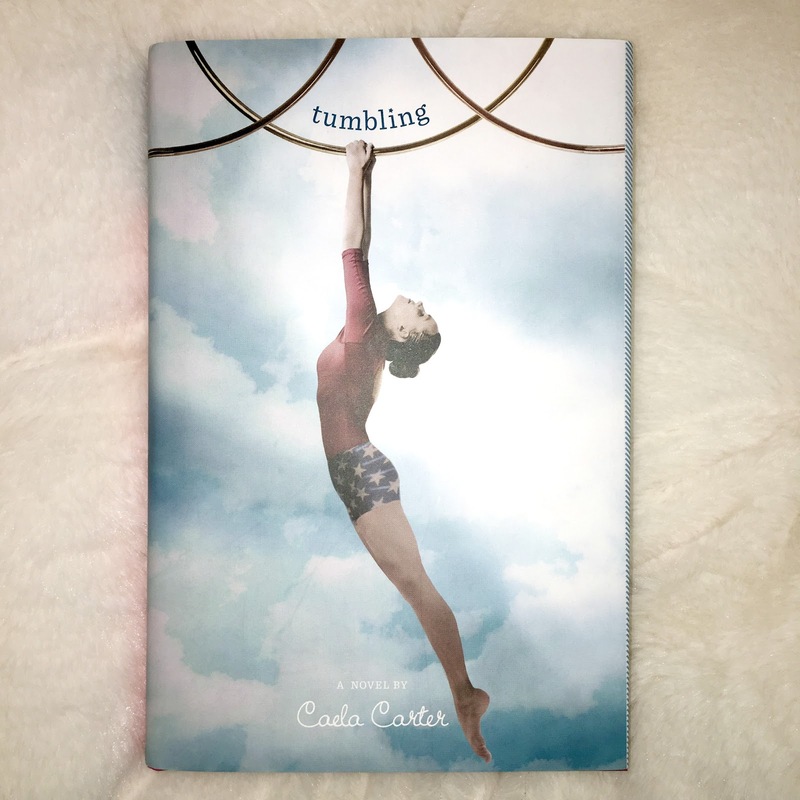 A true Olympic gymnast's memoir would be a better choice.